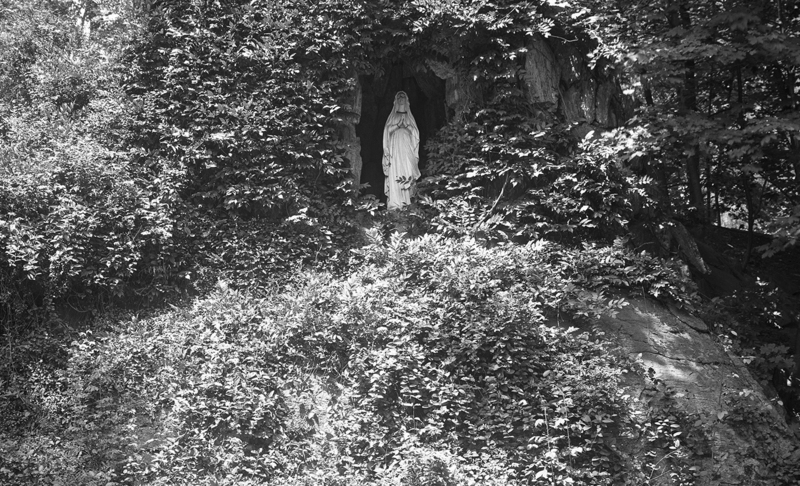 “It was a pietà, a life-size statue of the Blessed Virgin set within a semicircle of rocks.” Photograph of the statue of Mary in a rock formation alongside a path through the woods near Woodstock College, Maryland, c. 1930, by John Brosnan, S.J. Courtesy Georgetown University / Woodstock Theological Library Collections. Traditionally, a pietà is a depiction of the Virgin Mary holding the dead body of Jesus, but the statue placed in this grotto and described by Fitzgerald in “Benediction” is of Mary alone. When he was a fifteen-year-old high school student, F. Scott Fitzgerald spent spring break with his cousin Cecilia (“Ceci”) Taylor, in Norfolk, Virginia. He was near the end of his first year at the Newman School, a Catholic boarding school in Hackensack, New Jersey, where he had been sent in September 1911 because of his poor academic performance back home in St. Paul, Minnesota. Ceci, sixteen years his senior and a widow with four children, was Scott’s favorite among his relatives, and he would immortalize her as the widow Clara (“She made her goodness such an asset”) in This Side of Paradise. The visit to Woodstock College inspired two of Fitzgerald’s short stories. In 1915, while a Princeton student, Fitzgerald wrote “The Ordeal,” about a Jesuit seminarian in Maryland who is spiritually tested moments before taking his vows: “He felt himself alone pitted against an infinity of temptation.” Four years later, he completely reworked and expanded the story as “Benediction.” In this later version, the clash between spiritual faith and earthly enticement is transferred to a new main character, Lois, who is visiting her brother at seminary outside of Baltimore. The story is a gem, written in the witty, dancing prose of the youthful Fitzgerald, and touching on many of his typical themes—the giddiness of coming of age, the wistful sadness of romance, even a hint at class sensitivities. . . .
Lois’ encounter with God, with Catholicism deeply lived by Kieth and his companions, has changed her. 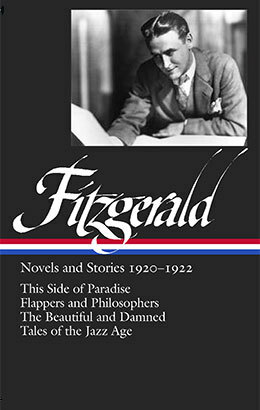 It may not, Fitzgerald leads us to believe, have resulted in a conversion such as we read about in hagiographies, an about-face from a life of sin to a life of grace. But it has resulted in a life that is deeper, that contains previously ignored levels of meaning and profundity, a life perhaps more difficult, but also more real. On page 392, one of the seminarians is teased for his fascination with the maxixe, a Brazilian dance resembling the two-step which became popular in the United States in 1914. The Baltimore Station was hot and crowded, so Lois was forced to stand by the telegraph desk for interminable, sticky seconds while a clerk with big front teeth counted and recounted a large lady’s day message, to determine whether it contained the innocuous forty-nine words or the fatal fifty-one. . . . If you don't see the full selection below, click here (PDF) or click here (Google Docs) to read it—free!